Sri Lanka Leopard Safari. Book at Tropical Sky today. 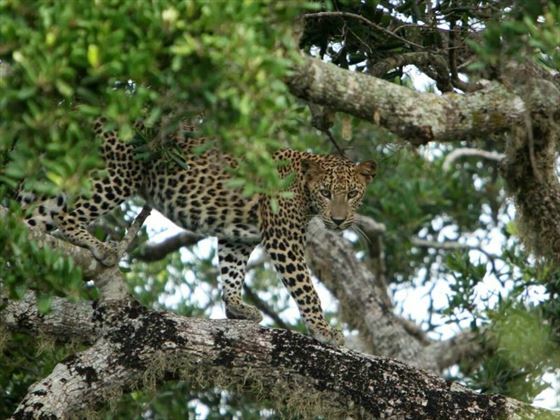 The award-winning Leopard Safaris have two locations alongside the stunning landscapes of Yala and Wilpattu National Parks, two of Sri Lanka’s largest and most beautiful wildlife grounds. Yala National Park is well-known for its high leopard density, filled with indigenous flora and an abundance of wildlife, whilst Wilpattu National Park is quieter, secluded and just as jaw-dropping with its stunning lakes and peaceful atmosphere. Both have a plethora of animals to spot during your game drives, including leopards, elephants, deer, mugger crocodiles and sloth bears. 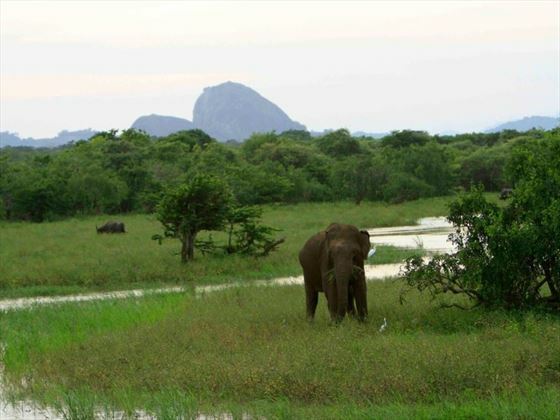 Yala National Park – Located alongside Sri Lanka’s second largest National Park, this gorgeous, popular campsite is perfect for spotting birds and monkeys, and has plenty of shaded areas to protect you from the heat. There’s no artificial lighting here either, so you’ll have beautiful views of the stars. 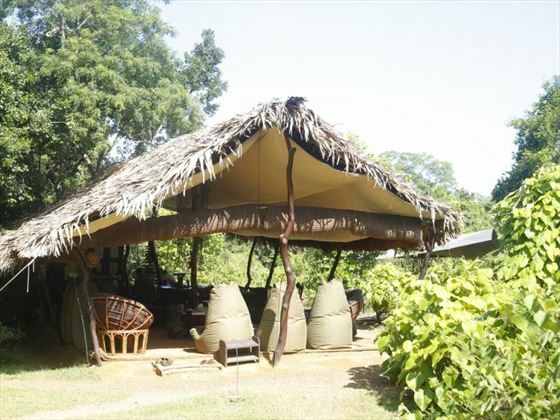 Wilpattu National Park – This large, luscious campsite is off the beaten track, and an oasis of natural, unspoiled landscapes with plenty of elusive wildlife. As this campsite is less well-known to tourists, it has a tranquil, secluded ambience. 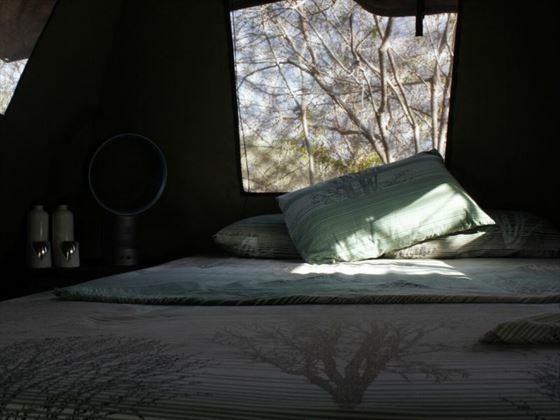 Mobile Canvas Tents – South African, non-permanent tents with different sleeping options. Choose between single, double or twin tents for one to two adults, or family tents are available either at a normal size sleeping two adults and two children, or the XL size that sleeps two adults and four children, though more beds can be added if needed. 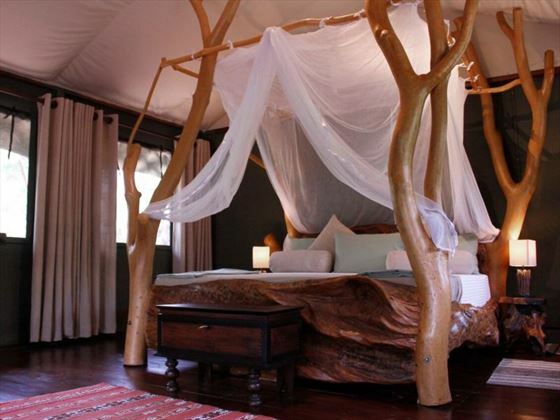 Luxury Lodge Tent (Yala camp only) – Experience luxury in the wilderness. Featuring a quirky wooden four-poster bed, air conditioning, a modern bathroom, a private access path and decking area and optional candle lit dining, this is perfect for honeymooners or those who want a little extra comfort. Sleeps two adults. 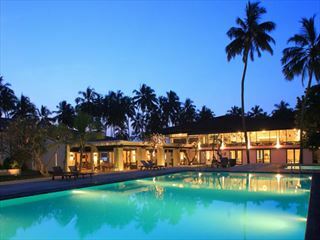 Jungle Menu – Each day you’ll tuck in to homemade, freshly prepared Sri Lankan food. Serving breakfast, lunch and dinner, you’ll be able to eat al fresco, with lovely views of the campsites whilst you enjoy authentic cuisine including coconut roti, curries, or even a Sri Lankan barbeque. Game drives – You’ll be able to meander through the National Parks on two game drives a day. Located in the leopard capital of the world, you’ll be sure to spot these elegant animals and even more throughout your stay. Stargazing – Both of the campsites lack artificial lighting, so the skies are always awash with twinkling stars. You’ll even eat your dinner al fresco with stunning views. 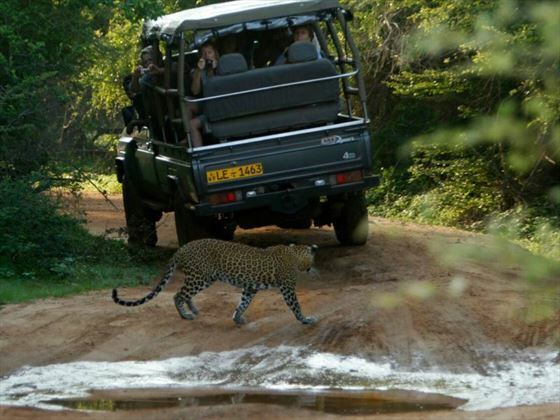 Wildlife walks – You’ll not only see wildlife on the game drives, but whilst walking through the campsites, too. 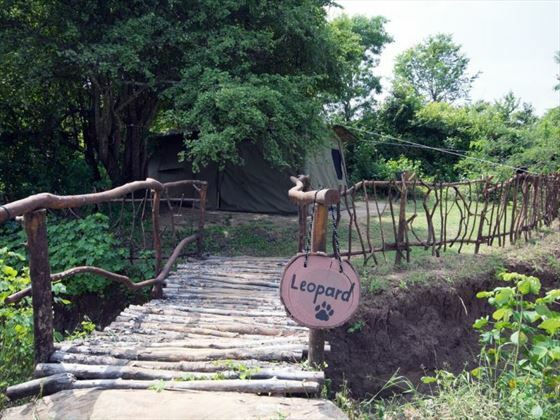 Wander through the camps and you’ll find monkeys, pretty flora and animal tracks. Wildlife library – The library has books with information about the landscape and its inhabitants. Hammocks are strung up around the camps for you to read and relax. Amateur photography walks – Journey through the campsite with a wildlife photography expert and be taught the tricks of the trade. Available for children and adults. Drinks around the campfire – Enjoy a wide range of delicious, international drinks from the jungle bar, right by the campfire and under the stars. Bird watching – With over 400 species around the parks, you’ll be sure to spot plenty of birds. The Wildlife Library has books to help you identify the ones you see. 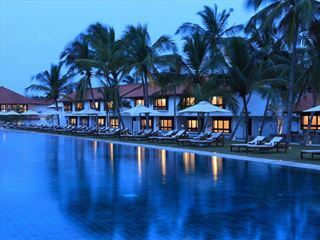 Cooking classes – Learn how to cook sumptuous Sri Lankan cuisine, including curries and coconut rotis, to impress all your friends at home. 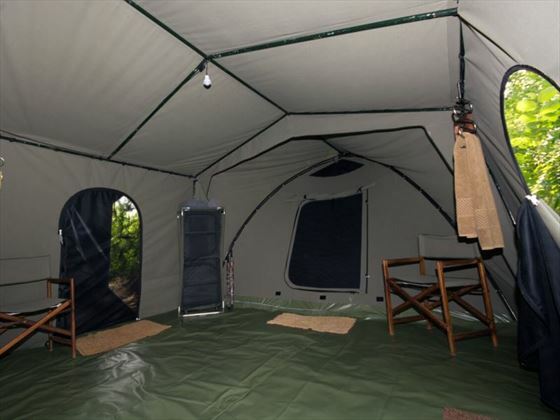 Comfortable family tents are available, which has no maximum number of occupants so long as you are comfortable. 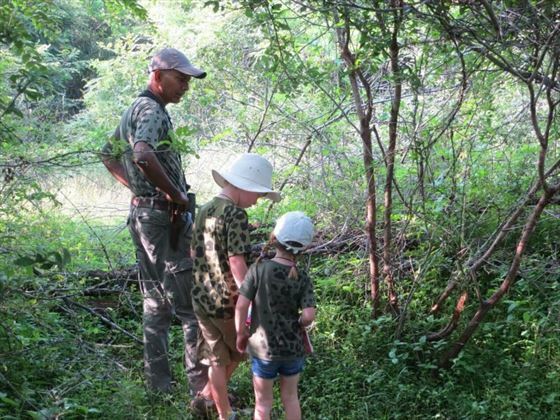 The minimum age for children at Leopard Safaris is six years old, apart from the school holidays when the minimum age changes to three years old. Children’s activities are available, including Amateur Photography walks and guided nature walks for those over eight years old, Animal Identification activities for those over six, and Wildlife Footprint memory games for those over four years old. There is also an optional Nature Art Class with Cecile Rodrigo for an additional cost. This will need to be booked in advance. Baby cots, car seats and high chairs are available on request. 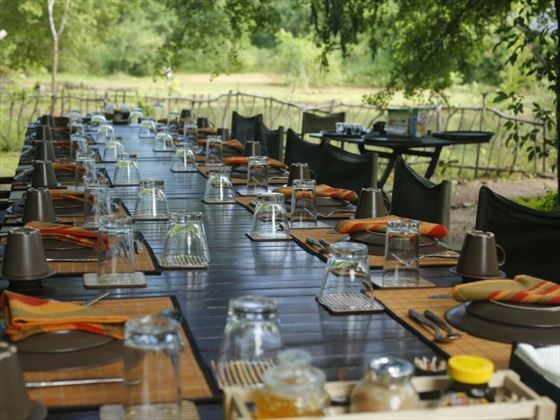 Kiddies Dinner – Leopard Safaris can arrange an early dinner for young guests, either near the lounge where parents can supervise, or in the dining area under supervision from the staff. Children are given snacks on board the safari jeep. 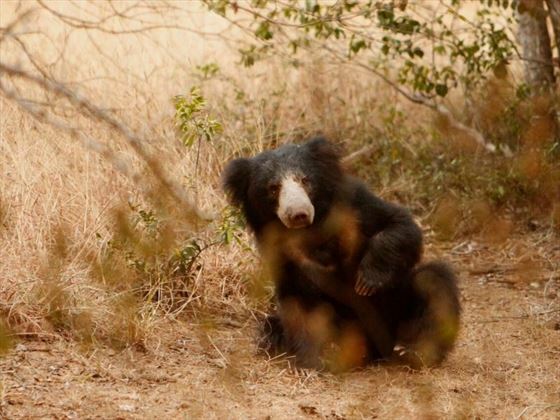 A local babysitter can be booked during game drive for an additional cost. This will also need to be booked in advance. You’ll arrive at the campsite at 2pm, where you’ll be able to enjoy an al fresco lunch and be provided with a short briefing and introduction to your stay. Afterwards, you’ll have a short while to rest and relax before your evening game drive at 3.30pm, taking you through the beautiful terrain in search for wildlife. Once back at the campsite, you’ll have until 7.30pm to refresh and have a drink before tucking into the Jungle Menu under the stars. Your wake-up call will be at 5am, ready for a morning game drive at 5.30am. 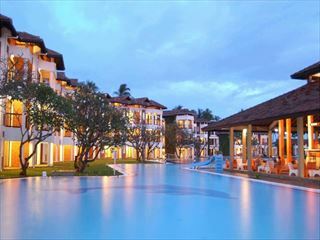 After the drive you’ll get to enjoy a homemade Sri Lankan breakfast before having a few hours to relax and take advantage of the campsite’s great activities - amble through the campsite on a wildlife walk, read a book in the library, or spend your time bird watching. 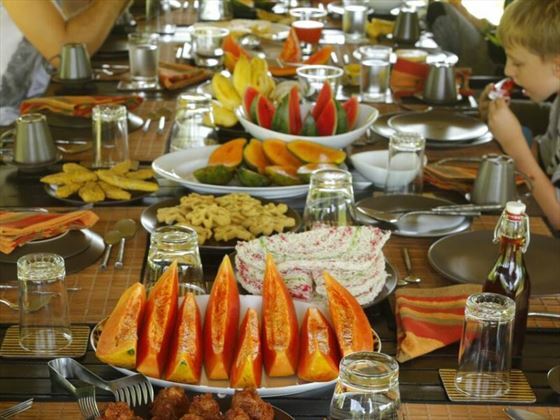 Lunch is at 2pm, getting you ready and energised for the evening game drive at 3.30pm to spot even more elusive animals. The evening will be a relaxing one, with a delicious al fresco dinner at 6.30pm. The day starts at 5am again for your 5.45am morning game drive, before eating breakfast at 9am.